Willow Lamott’s best friend is a convicted killer, and no one in the small town of Gilt Hollow will let her forget it. Over four long years, she’s tried to fade into the background—but none of that matters when Ashton Keller comes striding into school, fresh out of juvie and fueled by revenge. The moment their eyes meet, Willow no longer feels invisible. Drawn to the vulnerability behind Ashton’s mask of rage, she sinks deeper into his sinister world and begins to question whether he’s a villain, a savior, or both. Ashton thought he wanted vengeance, until Willow Lamott stepped back into his life. Now he longs to clear his name and become the person she sees in him. 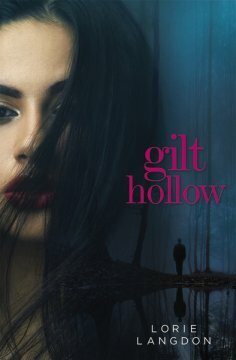 But the closer they get to uncovering the truth, the darker the secrets become, and Ashton wonders if his return to Gilt Hollow will destroy everyone he loves.